The unusual hare ornaments mix fun and glamour with an abstract twist - each white head has a single golden ear, evoking tales of the hare's fabled mystical powers. 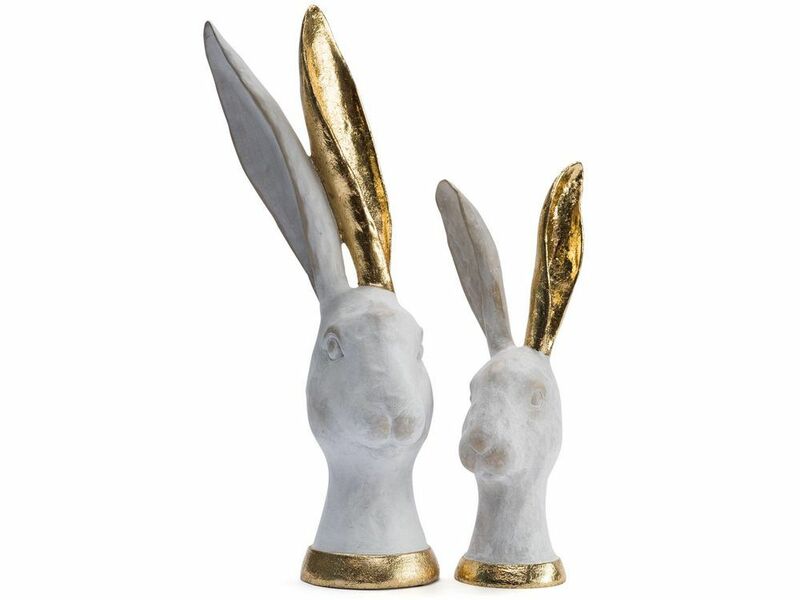 Made from resin with a whitewash finish, the hares' towering ears extend skywards to create a tall sculptural spectacle, with the single gold painted ears and collars adding to their feeling of treasure. The alert expressions really bring the hares to life and they will look superb side by side or in opposing corners of a room.